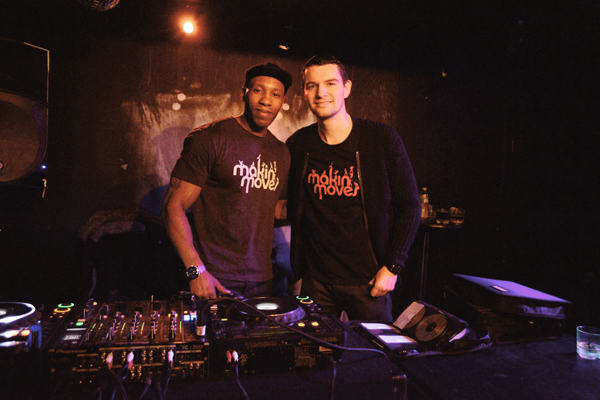 Makin’ Moves was set up in the Summer 2012, a new music and events company set up by Matt Langrish-Smith and Jamesey D.
Matt’s previous music experience spans over 15 years first working for UK soul label Papa Records alongside Oli Lazarus and cutting his teeth managing UK soul act Reel People along the way. Matt also headed up the events for the company, and on moving to hackney in 2007 Matt meet Jamesey at a local party and the guys hit it off immediately with Matt shortly after offering Jamesey a slot at his Messages night at the Salmon & Compass in Angel, Islington. In 2008 Matt started Tribe Records with Dean Zepherin aka Zepherin Saint to create Tribe Records which helped break afro house music into the dance scene in London and other European countries swell as establishing new talent in the form of Nathan Adams and other young artists. Jamesey was often asked to come and guest at Tribe events so the natural progression was to work together one day. Jamesey has professionally be playing deep and soulful house for more than fifteen years, Jamesey got on the decks at the age of 14. Music and DJ’s run in the family citing his first musical influences from his mother and uncles who were all DJ’s on the radio in the early eighties. He says it’s always a great vibe listening to his mother in the mornings playing everything from Soul to rare groove and Jazz classics. Real success didn’t take long to beckon, getting his break on Housefm.net in 2004. As a resident at the Ditch bar (Shoreditch) with Euphoric House Collective (Randy J & Floyd Patterson), opportunity knocked as Jamesey’s talents saw him showcasing at most of the prolific nights in the underground house scene in London. Bookings saw him play at BBE Records’ parties, Soulogic and Kinki Malinki. Making a name for himself took him worldwide performing sets in Sardinia, Barcelona, New York, Paris , Russia, Georgia and Dubai. His unique sets set him apart from the other djs in London and many people come to check out at the Main Moves parties as he rarely plays anywhere else in London. Both good friends and sharing the same passion for deep house music and a joint wealth of experience the idea of setting up a record label and events business seemed logical and now into it’s 6th year it’s a firm front runner in deep soulful house music in the UK with over 60 digital releases on the label. The guys have worked with established artists such as Peven Everett, Omar, Kenny Bobien, Franck Mccomb, Sheree Hicks, as well as working with new talent in the form of Wipe the Needle, David Anthony and DJ Beloved from the States. In the past 5 years Makin’ Moves have hosted parties in the UK at Cargo, The Prince of Wales, Shoreditch Studios and Bedroom Bar as well as The Winter Music Conference in Miami in 2013, all proved to be a roaring success. Currently the guys host a monthly joint party with JM Soul from House 4 Soul taking place at fantastic new venue in London called Omeara. 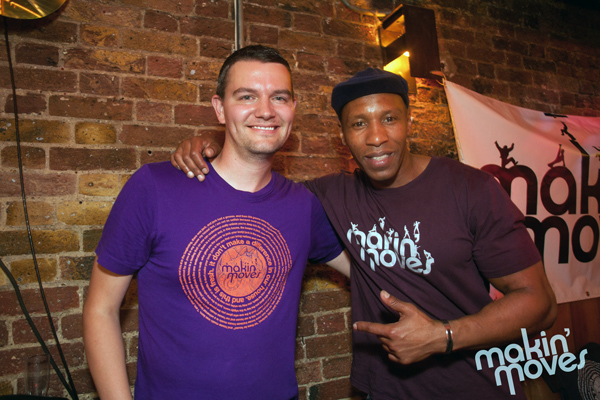 The Makin’ Moves Radio Show is every Thursday on www.housefm.net from 6-8pm (GMT) with Matt, Jamesey and since the back end of last year the boys have been joined once a month by their good friend Jihad Muhammad with his Bang the Drum show. For any inquiries email matt@makin-moves.co.uk.